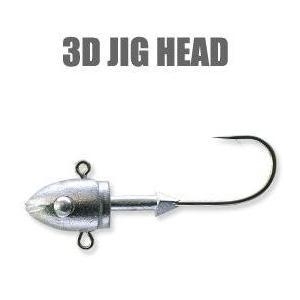 With many weight variations this jig head can be effectively set up to match the target fish and area. It biggest point is the line eyes that are situated on both the top and bottom of the jig head. You can attach an assist hook to increase your hook up rate, or a strong thick wire hook. The original shape of the head doesn’t interfere with the worm’s line. Match up the size with a “GRASS MINNOW” or a “MINNOW” plastic and you can enjoy fishing that demands serious consideration of the hook bait.